Saturday Morning Kitchen is a great start to the weekend for any aspiring home cook. I’m often inspired by the show and adapt many of its recipes in my own cooking. Watching someone cook on TV is as close as I can get to a hands-on lesson with a professional chef – invaluable experience for those of us untrained in the culinary arts. 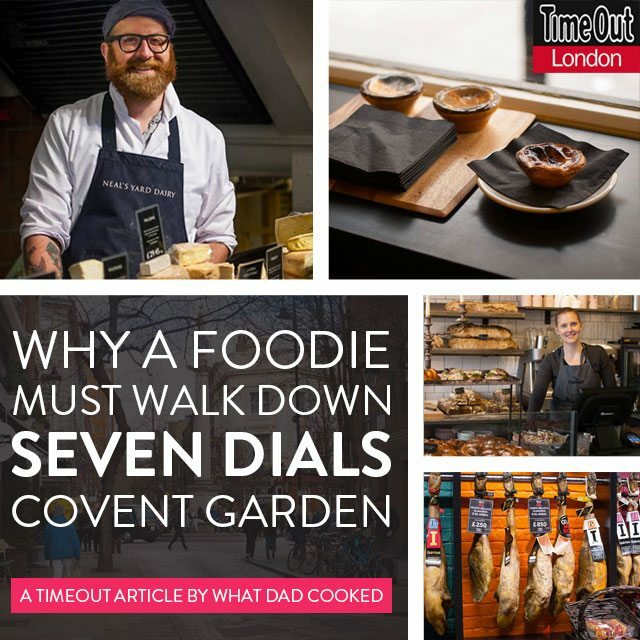 While working in the West End, many years ago, I found culinary inspiration attending several lunchtime cooking sessions in Divertimenti’s demonstration kitchen. You just can’t beat watching a recipe being cooked live. I enjoyed a similar moment on Saturday Kitchen, when the highly successful, two Michelin star chef, Claude Bosi cooked a relatively uncomplicated dish of artichokes a la Parisienne with bordelaise sauce. I have a very good recollection of his cooking methods and feel sure that I might not embarrass myself if I had to cook this dish for the chef himself. 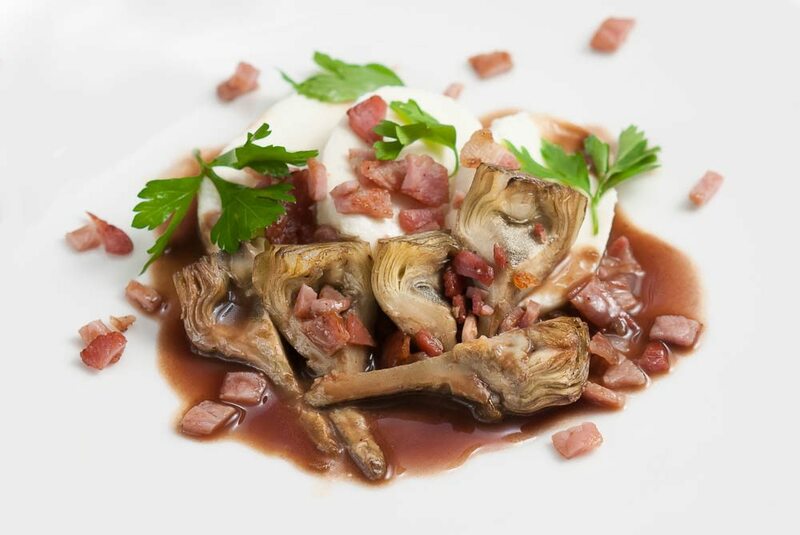 No way, that’s not what WDC does… Besides, I didn’t have fresh artichokes, burrata, prcociutto cotto, bordelaise sauce, chervil, chives and chickweed… But it gradually occurred that I did have some confit artichokes, mozzarella, bacon, leftover shallot and red wine sauce and parsley. What the hell – maybe I’ll knock this up for lunch and tweet it in. What’s fascinating is that I would never had made this if it weren’t for my dithering about tweeting food to Saturday Kitchen. During this unusual twist to my day – I was left humbled by my presumptions about the combination of hot artichokes and ham in a dark wine sauce on cool creamy mozzarella. It was delicious. Okay, I may not actually be able to cook like Claude Bosi, but his accessible demonstration on the telly, ultimately inspired me to try a food combination I might not otherwise have considered.